We were among the many Californians who didn’t know much about High-Speed Rail when we voted on Proposition 1A in November 2008. It sounded like an intriguing vision for travel between big cities in Northern and Southern California, similar to what’s done in Europe or Japan. It would be an alternative to the unpleasantness of flying or the monotony of driving. Some of us will admit we didn’t read the ballot measure closely enough to know that the high-speed rail line wasn’t going to be built through the Altamont Pass and then next to Interstate 5 through the Central Valley, as common sense would suggest. Instead, it was going to slice through the farmland owned and worked by our families and friends for multiple generations. We were too innocent to know that political power – not convenience – determined the route. No one knows if the High-Speed Rail Authority was oblivious to good manners or disdainful toward California’s “flyover” country, but its officials barged into our towns with a plan to bisect our farmland (and homes in a few instances), plow needlessly through our region’s essential sole cow carcass rendering plant, and generally disrupt our way of life. Strangers wandered our fields. Union construction workers were bused in to overwhelm community gatherings about the high-speed rail. Condescending “outreach” events were convened to pacify the rural folk. 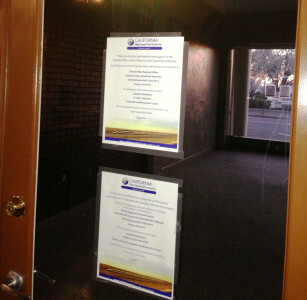 A regional office in Hanford was abruptly closed without notice. “Thank you for your participation and support of the Hanford Office of the California High-Speed Rail Authority” – February 2013. We found out earlier than most Californians that the High-Speed Rail Authority and its representatives didn’t want full transparency or accountability to the public for their activities. The more information we squeezed out of the Authority, the more we realized how it failed to comply with the law. That’s why we formed Citizens for California High-Speed Rail Accountability (CCHSRA). Our sense of community has been the strongest asset in our fight to make the California High-Speed Rail Authority accountable for its activities. We hope you will benefit from this web site. We are a group of concerned citizens from all walks of life, backgrounds, and geographic areas that are working together to hold the California High-Speed Rail Authority accountable on the creation of this massive transportation system. Our growing group has been meeting once a week since its formation in June 2011 to aid in keeping the Authority compliant to the due process of the law, as well as being financially responsible on decisions with taxpayer money. 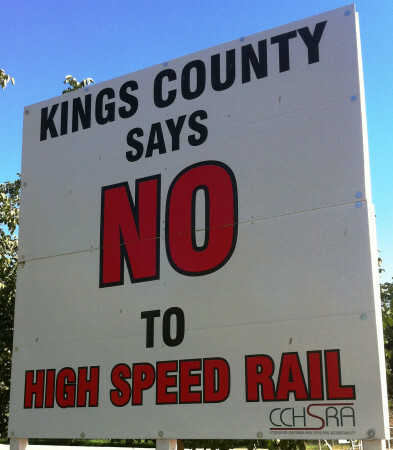 The mission of the CCHRSA is to make sure the proposed California High-Speed Rail Project does not adversely affect the economy, environment, or the quality of life for California’s existing communities. We do this by working through public advocacy, litigation, and political action.